Please click the appropriate button below to make an online donation to First Baptist Church or a payment to either Sonshine Learning Center or an upcoming Youth Group trip or retreat. Donations and payments will come through to the church via PayPal. 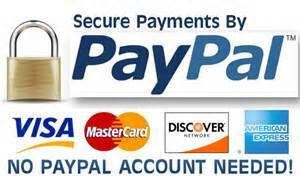 You do not need a PayPal account to use online giving. However, using PayPal lets you donate securely without sharing your financial information. PayPal secures the information, and it is not shared with us. Once your payment is complete, you will receive confirmation via e-mail. Your donation will be posted to your account in the church office and appear on your next statement. You may make a one-time or recurring (monthly) donation via PayPal. If you do not have a PayPal account, you may still donate online using Visa, MasterCard, Discover, or American Express. Another giving option is to contribute stock, either from an investment account or an IRA. The church stock account is with Stifel, Nicolaus, & Co., Inc. In order to complete the transaction, you or your broker will need to contact either Rick Palmer or Chuck Davis at (910) 246-5352. For those of you 70 and one-half years of age or older, you may authorize a distribution from your IRA, up to $100,000, and you must have it sent directly to the church. Although not tax deductible, your contribution can go toward your required minimum distribution (RMD) and will not be included as taxable income on your return. If you have any questions or need assistance, please contact Lisa Corbett in the church office at (910) 692-8750. Please click the "Donate" button below and select the fund to which you would like your donation to go. Thank you! enter the child's full name, and click "Pay Now." enter the youth's full name, and click "Pay Now." A $50 deposit will hold your spot for all trips and retreats.